Parkasaurus, Dinosaur Tycoon Title, Hits Early Access Tomorrow | Nerd Much? If you’ve ever dreamed of running a dinosaur themed park (and have missed the numerous other games in the past that have let you do it), your wish looks to finally be coming true. WashBear Studio has confirmed that you can do just that when Parkasaurus releases on Steam Early Access tomorrow. 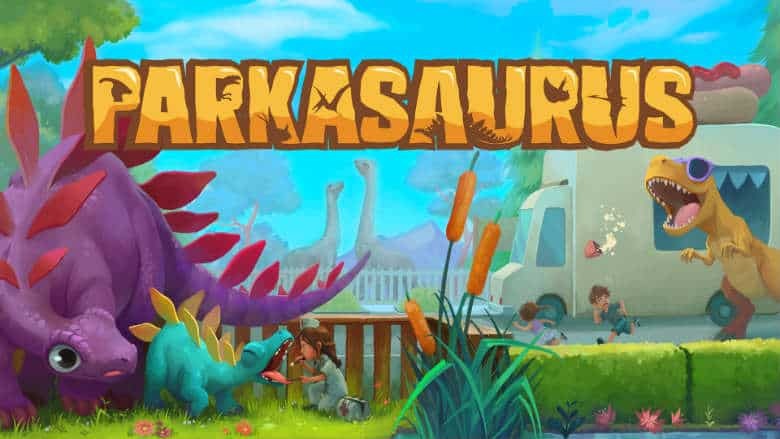 The developers from WashBear cite classics like DinoPark Tycoon and Theme Park as inspirations for Parkasaurus. In the trailer above you can see how those games’ various mechanics and themes are incorporated, but with a much more quirky and playful design. WashBear has packed a solid amount into the Steam Early Access release of Parkasaurus. The game will sport over 80 buildable items, 4 different employee types, and 24 dinosaur varieties with “more added regularly.” And there are a bunch of accessories that you can adorn your dinos with, such as beanies, neckties, sunglasses and more. Parkasaurus roars into Steam Early Access tomorrow, September 25th.